Higher education holds the promise of helping individuals achieve economic and social success while also providing numerous public benefits. For this reason, the government has spent trillions to support college enrollment with programs focused on affordability and academic preparation. Unfortunately, college access remains stratified by income and race, and less than half of students complete their intended postsecondary degrees. However, research has improved our understanding of the challenges students face, as well as the supports that can help them, and there is a growing body of evidence on the policies and programs that are effective in improving the postsecondary outcomes. In this talk, I will review the state of college access and success in the United States and discuss the leading research on ways to better support postsecondary students. These efforts involve improving financial aid policy, helping underprepared students transition to college-level course material, and providing better and information and assistance to help students navigate the higher education system. 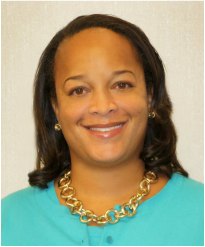 Bridget Terry Long is Academic Dean and the Saris Professor of Education and Economics at the Harvard Graduate School of Education. Long is an economist who specializes in the transition from high school to higher education and beyond. Her work focuses on college student access and choice and the factors that influence students’ postsecondary and labor market outcomes. Current projects examine the roles of information and assistance in promoting college savings, academic preparation, and enrollment. Other work examines the effects of financial aid programs, the impact of postsecondary remediation, and the role of instructor quality, class size, and support programs on student outcomes. Long is a Research Associate of the National Bureau of Economic Research (NBER), member of the Board of Directors for MDRC, and former Chair and member of the National Board for Education Sciences (NBES), the Presidentially-appointed advisory panel of the Institute of Education Sciences (IES) at the U.S. Department of Education. Long has testified multiple times before Congressional Committees and been awarded numerous research grants, including major awards from the Bill & Melinda Gates Foundation, the U.S. Department of Education, and the National Science Foundation (NSF). She also received the Robert P. Huff Golden Quill Award from the National Association of Student Financial Aid Administrators (NASFAA) and National Academy of Education/Spencer Postdoctoral Fellowship. She has served as an advisor to many organizations, including the College Board, Bill & Melinda Gates Foundation, American Council on Education, Massachusetts Board of Higher Education, Ohio Board of Regents, and the I Have a Dream Foundation. Long received her Ph.D. from the Harvard University Department of Economics and her A.B. from Princeton University.